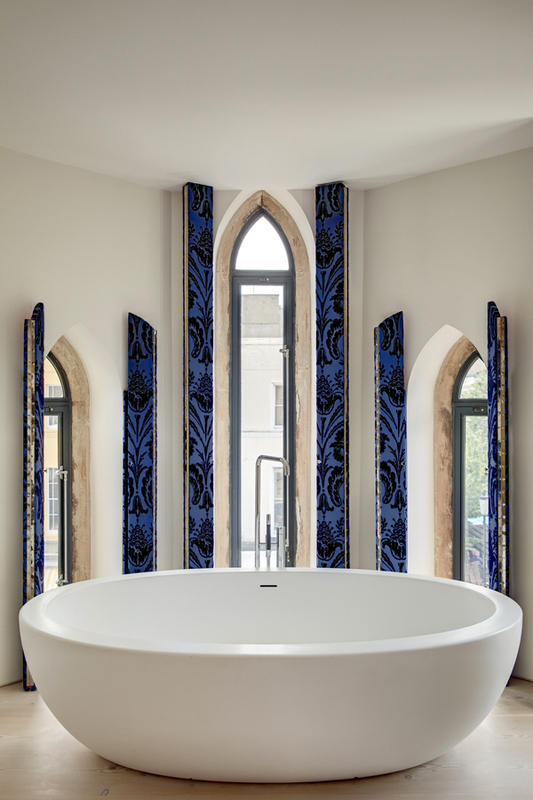 Westbourne Grove Church in London’s Notting Hill was converted into a 4,300-square-foot loft-like home in 2008 by DOS Architects. The building was preserved from the outside but was renovated on the inside. 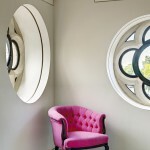 The modern white interior is jazzed up with pink and purple velour furnishings and blue accents. 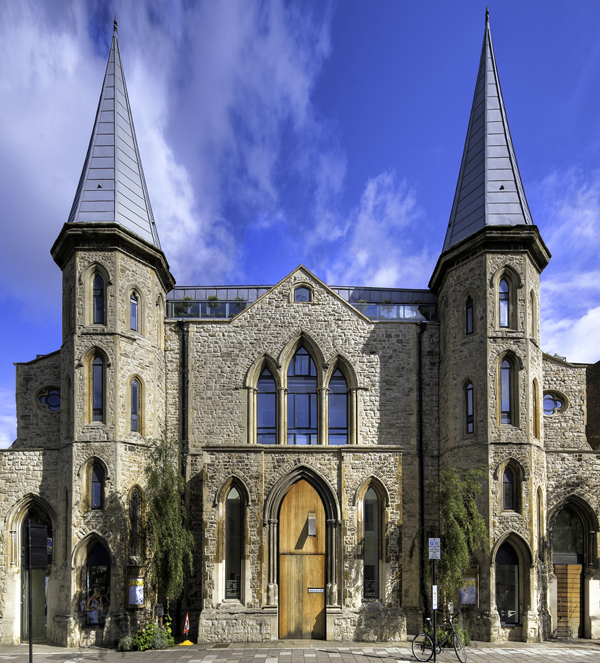 This is another grand church conversion into our box of inspiration. The exterior of the church seems preserved. The arched windows and doors and peaked towers make for a traditional church look while the stone, from which it’s made, only emphasizes that look. 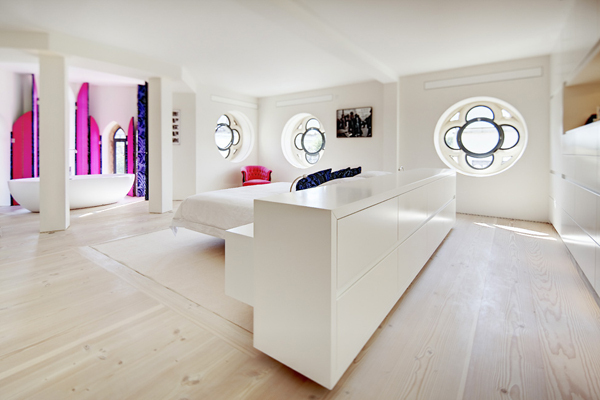 The interior is painted white that reflects the natural light, which comes aplenty through big windows. The furnishings are bright and add a punch of color to the neutral decor. In the dining room the furnishings are black and the feature wall is enhanced with a chalkboard. The open plan allows for spacious rooms divided in zones. The living area is located in the middle of the big room while the dining and sitting areas are at the sides of it. 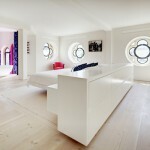 One of the bedrooms features an open bathroom while in another one it’s enclosed in glass. The kitchen and dining area are parallel to each other while the home office is tucked into a small den behind the sitting area. 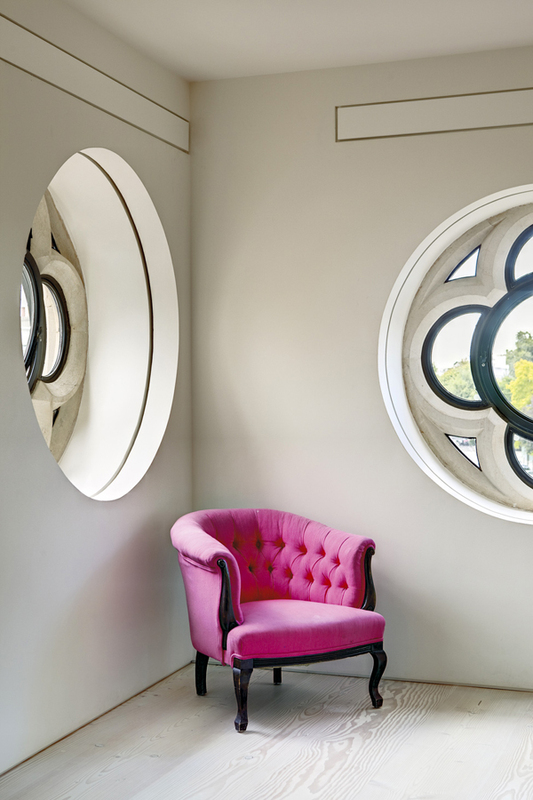 Beautiful church windows add charm to the interior that gives off modern minimalist look where space is functional while decor is reserved. 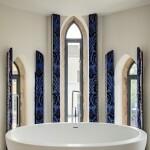 We especially love the free-standing bathtub next to three narrow arched windows with blue floral shutters. 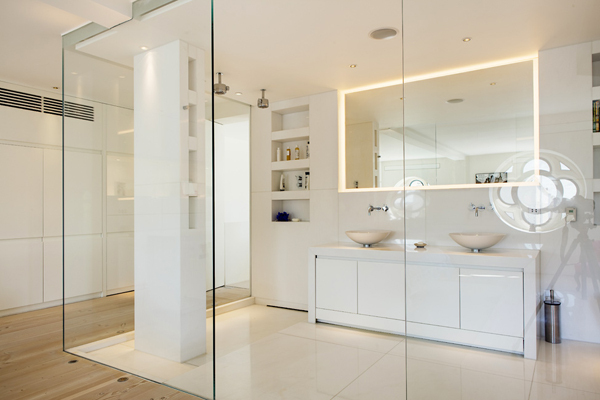 The second level is accessed through modern glass stairs that add airy feel to the room. Church conversions are always interesting to look at. 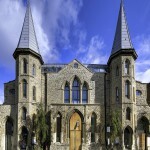 What do you think about Westbourne Grove Church Conversion?